Olde Cape Cod with grace and comfort. Newly constructed, immaculate custom home is splashed in soft seaglass blues and greens, and the bright, sunny interior offers lovely ocean views. Enjoy cool ocean breezes and beautiful sunsets on the decks. 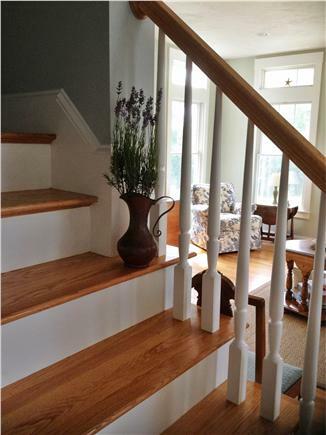 Walk steps to a private picturesque ocean beach, hike the paths through nearby Beebe Woods, or bicycle to scenic Woods Hole, quaint West Falmouth, or the center of town. 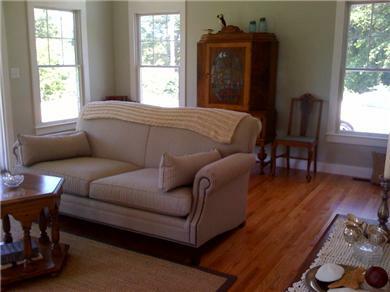 One and a half miles to the center of town, three miles to Woods Hole, close to the Shining Sea Bike Path,and walking distance to Beebe Woods. 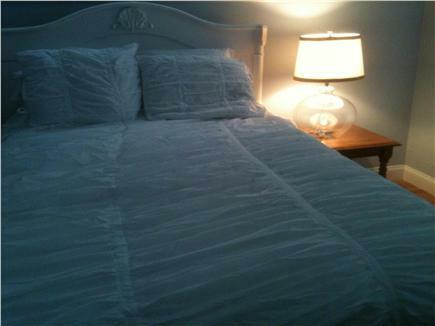 The house is equippped with high speed wireless internet, cable TV, and central air. 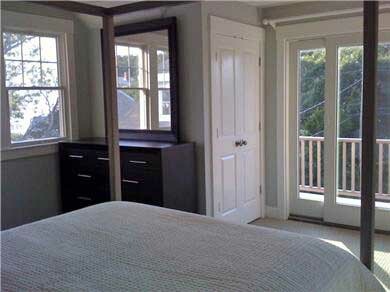 Master bedroom and master bath downstairs; full bath and two bedrooms upstairs - one bedroom with queen bed and balcony; one bedroom with full bed. 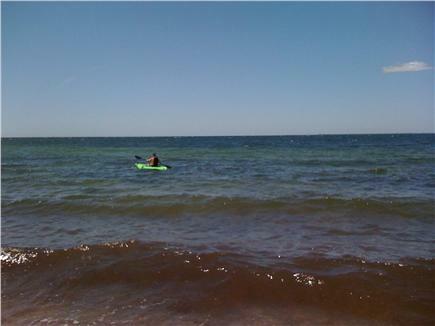 Beach chairs, linens, two adult bicycles, ocean kayak, and yard games provided. Summer awaits! First floor master bedroom and shower. This beautiful 3-bedroom, 5-star property is conveniently located in Falmouth, not too far from the Main Street, which boasts some great eateries and shopping. There is an outside shower with hot/cold water. Bring your own shampoo, everything else provided including soap, towels, beach chairs, bicycles, a kayak, etc. 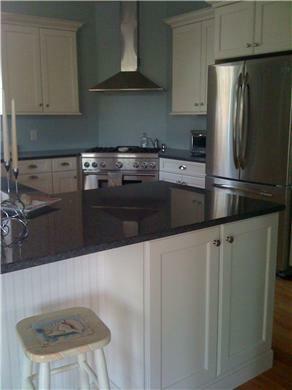 The kitchen has a GAS stove, dishwasher, full size refrigerator, microwave, and all utensils, pots and pans. Property's private beach is across the street. The owner is very kind and accommodating. While you are in Falmouth don't forget to taste Ben & Bill's ice cream (209 Main Street). Please expect a long wait. A few blocks down from Ben & Bill's, turn right on to Shore Street that takes you to a sandy beach (about 5 minutes away from Main). 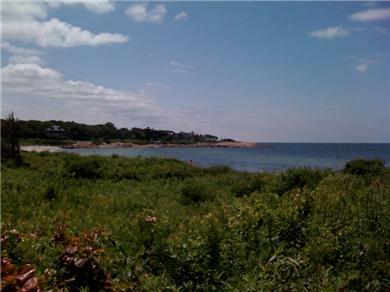 Old Silver Beach is another sandy beach in Falmouth with a parking fee of $20. Woods Hole is another town about 10 minutes away with many activities for young kids. The Woods Hole Aquarium is free of charge, donations accepted. You should be a seafood lover to eat in any of the restaurants in Cape Cod. Please don't waste your money on non-seafood items. We made a mistake of ordering a couple of appetizers, and those tasted bad. Chatham Lighthouse Beach, the best one out of the three in Chatham, is about an hour and a half away from Falmouth and worth visiting. 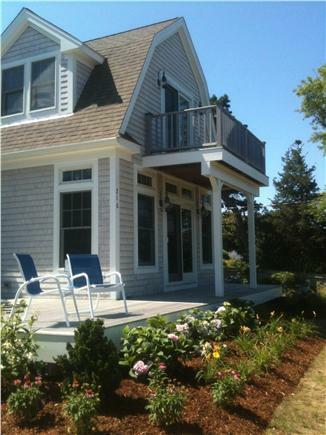 We just spent a week in this beautiful home in West Falmouth. We thoroughly enjoyed being able to walk to the private beach (not very sandy but we did find a decent patch for my daughter) and the warm water of Buzzards Bay. 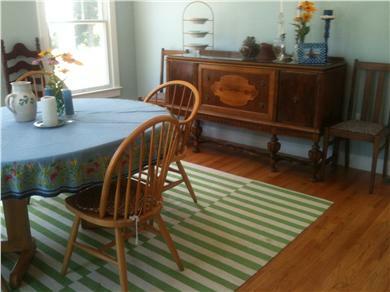 It is in a quiet spot but still a close drive to shopping, public beaches and Main Street. The house is well-kept, and the owner is very accommodating. We hope to rent again next summer! Wonderful stay! Hope to return again! Our family loved this home! The house itself is beautiful and equipped with everything you need. 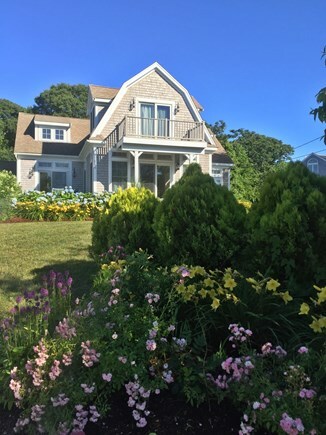 It is right across the street from your own private stretch of beach and just minutes away from Old Silver Beach as well as downtown Falmouth. Lots of great shopping and restaurants as well as peaceful surroundings. We also drove to Woods Hole one day and caught the ferry to Martha's Vineyard. We had a wonderful time and hope that we can return again soon! We had a wonderful time and staying at your home made it even better. Great beach, nice town, and easy access to Martha's Vineyard + Nantucket. We had such a lovely time here! I've fallen in love with Woods Hole and we adore the beach.